Seventy-three years ago this coming April, the 1938 film, ”THE ADVENTUERS OF ROBIN HOOD”, was released in theaters for the first time. 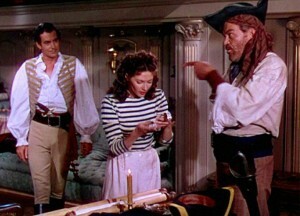 For many fans and film critics, the swashbuckler is considered the definitive Errol Flynn movie. 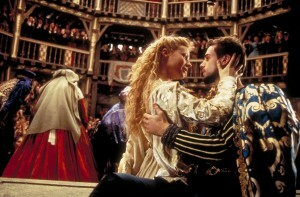 They also view his character, Sir Robin of Locksley, as the pinnacle of the Australian actor’s career. There have been previous versions of the Robin Hood tale before and after. The other most famous versions are the 1922 silent film that starred Douglas Fairbanks and the 1950s TV series that starred Richard Greene. 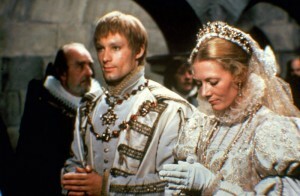 Like the other versions, the movie told the story of the young Saxon nobleman (Flynn) who created a band of outlaws to protest against the reign of Prince John (Claude Rains) in England during the early 1190s. With King Richard the Lionhearted (Ian Hunter) a hostage of Austria’s king, John usurps the royal power to oppress the English poor – especially the Saxons – with the help of Sir Guy Gisbourne (Basil Rathbone) and the Sheriff of Nottingham (Melville Cooper). Robin and his right hand man, Will Scarlett (Patric Knowles), recruits the likes of Little John (Alan Hale, Sr.), Friar Tuck (Eugene Pallette), Much the Miller’s Son (Herbert Mundin) and a band of outlaws. 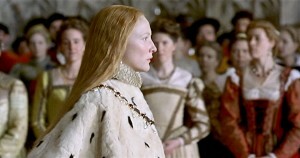 Soon, Prince John and his Norman cronies find their cruelties opposed and themselves harassed beyond all bearing. 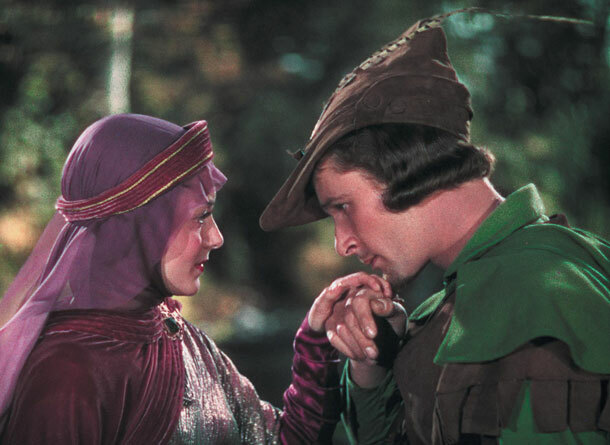 Robin also finds the time to fall in love with the Norman noblewoman and royal ward, Maid Marian Fitzwalter (Olivia de Havilland). To be frank, ”THE ADVENTURES OF ROBIN HOOD” is a glorious triumph not only for the Warner Bros. studio, but for Flynn as well. 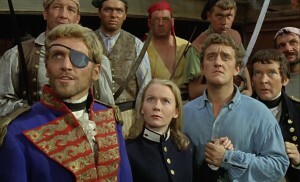 It has everything that the moviegoer could possibly want in a swashbuckler – great action, rich color, a superb score by Erich Wolfgang Korngold and a leading man who more than embodied what the main character stood for. Warner Bros. executives Jack Warner and Hal Wallis had originally cast James Cagney in the lead. 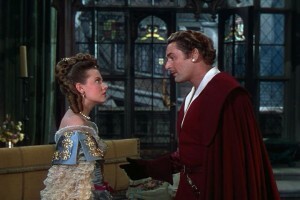 But the actor became embroiled in one of his many feuds with the studio and two years later, Flynn won the role. I cannot say how Cagney would have portrayed Robin of Locksley. But Warner and Wallis certainly struck it rich with Flynn in the lead. 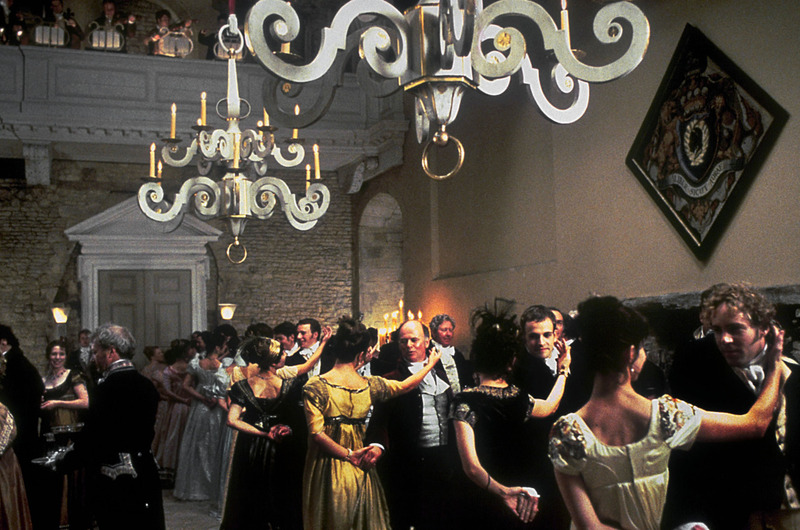 Not only did he look the part, he handled the role’s physical aspects with great aplomb. 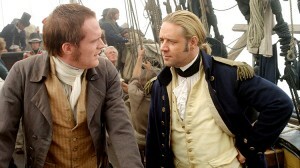 Flynn also injected a heady mixture of roguish humor and genuine compassion into the role. The rest of the cast were also superb. Olivia de Havilland was never more lovelier. 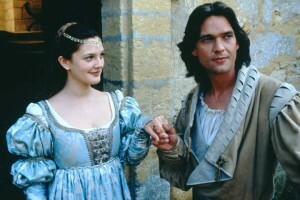 Even better, her Maid Marian became more than just the love interest and damsel-in-distress. Once Robin had swayed her to his cause, she turned out to be a valuable recruit. Not only did she managed to come up with a plan to save Robin from execution, she was the one who discovered a plot by Prince John, Sir Guy and the Sheriff to assassinate the returning King Richard. 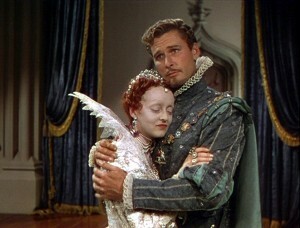 Claude Rains, with his soft voice, made a deliciously sly Prince John. 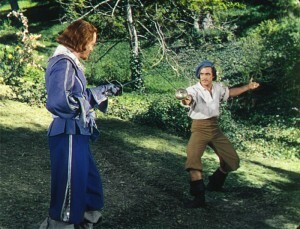 Basil Rathbone was tough enough to serve as a physical adversary for Robin. 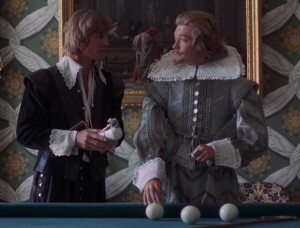 Their duel in the final scene at Nottingham Castle is considered a classic, thanks to the fencing choreography staged by Fred Cavens. And Melville Cooper was his usual funny self as the buffoonish Sheriff of Nottingham. Although I find it odd that he was the only one who was able to come up with a successful plan to capture Sir Robin. 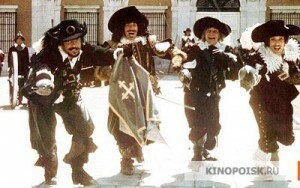 And where would ”THE ADVENTURES OF ROBIN HOOD” be without its supporting cast that portrayed Robin’s Merry Men? The handsome Patric Knowles made a sly and witty Will Scarlett. Alan Dale Sr. returned as Little John, a role he had first made famous in the 1922 film. Eugene Pallette made great use of his frog voice and gruff demeanor as Friar Tuck. And Herbert Mundin, as Much the Miller’s Son, seemed to be the best of the bunch. 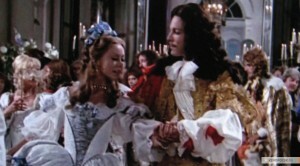 Not only did he proved to be as brave as Robin, he also won the hand of Marian’s nurse, Bess, portrayed by the always memorable Una O’Connor. Surprisingly, ”THE ADVENTUES OF ROBIN HOOD” had two directors. 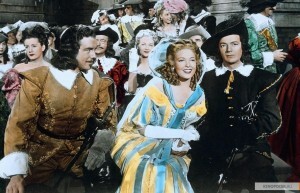 Hal Wallis first assigned the film to William Keighley, who had directed Flynn in ”THE PRINCE AND THE PAUPER” (1937). But Hal Wallis felt slightly dissatisfied with Keighley’s slow handling of the action sequences and replaced him with Warner Bros’ reliable warhorse, Michael Curtiz. Flynn, who detested the Hungarian-born director, must have screamed in frustration. 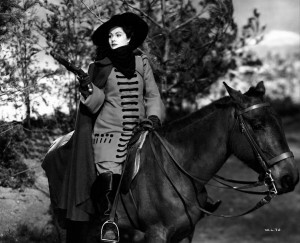 But Curtiz’s direction gave the film a tighter pace and better action sequences for which the movie is famous. 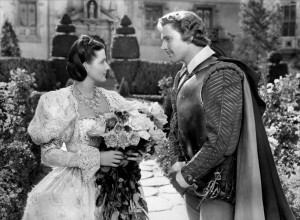 ”THE ADVENTURES OF ROBIN HOOD”was one of the first films of the studio to use the old three-strip Technicolor process. 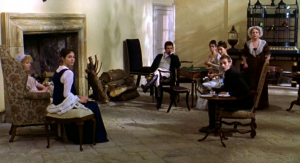 And it paid off, giving the movie a rich color and vibrancy. And what would this version of Robin Hood be without Erich Wolfgang Korngold’s Academy Award winning score. I am still surprised that Korngold had originally turned down the assignment because he felt that his score could not live up to the movie’s action. Thankfully, he proved himself wrong. ”THE ADVENTURES OF ROBIN HOOD” seemed to have everything going for it – great cast, great photography, great action and great music. And it all seemed to blend seamlessly. Yet . 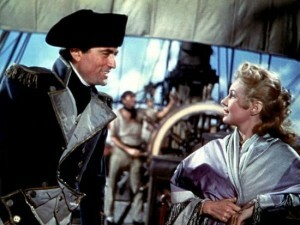 . . it is not my favorite Errol Flynn movie. 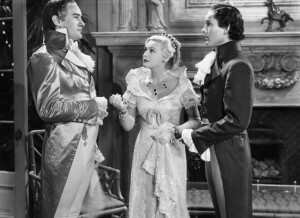 I had come across a review of the film in which a critic stated that one of the reasons this was his favorite Flynn movie was its light-hearted tone and simplistic characterizations that allowed the audience to escape from the more complex, modern world. And I could see those traits in the movie. But as much as I had enjoyed it, there were times when the movie came off as a little too light or simple for me. Sir Robin of Locksley may be considered Flynn’s best role, but I must admit that I found his portrayal of Geoffrey Vickers in ”THE CHARGE OF THE LIGHT BRIGADE” (1936) and Geoffrey Thorpe in ”THE SEA HAWK” (1940) more complex and interesting. In fact, I consider the two movies to be my favorites that Flynn ever made. 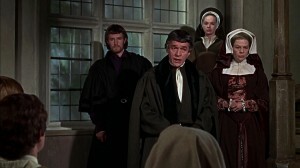 However, I do love ”THE ADVENTURES OF ROBIN HOOD” and consider it one of the most entertaining films I have ever seen.